The City of uMhlathuze is situated on the north-east coast of the Province of KwaZulu-Natal, about 180 kilometres north-east of Durban. The N2 highway traverses the municipality in a northeast direction towards the Swaziland border and south-west towards Durban. uMhlathuze contributes 48% towards the GDP within the King Cetshwayo District. The municipality has the benefit of about 45km of coastline of which about 80% is in its natural state. Linked to its coastal locality is the Richards Bay deep-water port (the country's largest) that has been instrumental in the spatial development of the area in the past and will impact on the area's future development. 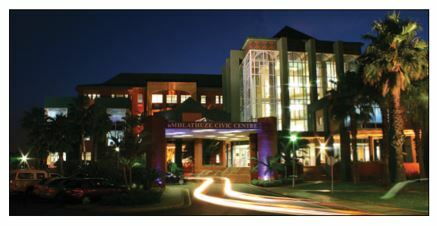 Richards Bay, as a harbour and industrial town, is considered as the fastest growing secondary city in South Africa. The town attracts people from surrounding towns, rural settlements and from beyond the district. As the main economic attraction of the area, the port is the priority for stimulating the local economy. The port is also a provincial priority in that it is the growth engine for one of the primary provincial growth nodes. Empangeni's role as an industrial, commercial and service centre to the settlements of Esikhaleni, Eshowe, Nkandla, Ntambanana and other rural settlements attracts many people to the range of higher order services available in the town. 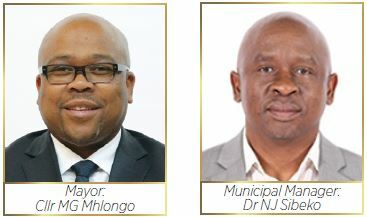 Apart from the daunting task of changing the economic face of the City of uMhlathuze, it is imperative to ensure that all citizens continue to receive the best services that the municipality has to offer. The City of uMhlathuze promotes "competitiveness in the manufacturing sector whilst advancing downstream value-adding opportunities that are labour intensive". The Richards Bay Industrial Development Zone (RBIDZ) has been designated as special economic zone and is a national priority for stimulating growth in the manufacturing sector. The manufacturing sector is important in the province (largest contributor to PGDP). The launch of the R4 billion titanium beneficiation project for the manufacturing of titanium pigment at the RBIDZ is a significant milestone in South Africa's mineral beneficiation and industrialisation paths. The project will see Nyanza Light Metals, a South African company, establishing a plant to extract titanium from waste steel slag and beneficiating it to produce titanium dioxide pigment which is a critical ingredient in paint manufacturing. The project will be the largest single investment in the Richards Bay IDZ. Another boost is the proposed Gas to Power plant to be located in the RBIDZ which boasts an estimated investment value in the region of R47-billion. The RBIDZ has been allocated 2000 megawatts of the 3126 megawatts allocated to the Gas to Power programme as part of the gas Independent Power Project. The allocation will result in a multi-billion rand investment in Richards Bay, in both a gas fired power station, as well as gas infrastructure to gasify liquefied natural gas brought into the harbour by ship and piped into the power plant and other uses. This plant will create the opportunity for new and existing industries in the Richards Bay to make use of an alternative energy. Diversified miner South32 has invested R74-million in a seawater desalination plant to supply the Hillside Smelter with water. Hillside is the largest aluminium smelter in the southern hemisphere with a capacity of 720 kilo tons of aluminium per annum. The plant uses membrane technology to produce cooling process water for its smelter. The desalination plant will remove minerals from seawater extracted from the Richards Bay harbour. The coastal dunes contain heavy minerals that are sought after for mining, which is a key sector in the context of regional economic development and national plans. Richards Bay Minerals (RBM) is situated just north of Richards Bay has been in operation for 30 years, RBM processes the heavy minerals located in the coastal sands in the area and is a leading producer of titanium minerals, high purity iron and zircon. RBM is also in possession of a further mining lease, located along a 20km stretch of coastline to the south of Richards Bay and the UMhlathuze River and north of Port Durnford, the Zulti South Mine Lease Area (ZSMLA). The City promotes a diversity of economic activities and the Local Economic Development Plan makes provision for growth in the commercial sector by encouraging new initiatives for emerging businesses, the informal sector and SMMEs. The City of uMhlathuze is rich in diversity and is the ideal holiday destination where nature lovers can explore the internationally acclaimed game reserves and visit the spectacular wetlands. Outdoor and sporting enthusiasts can take advantage of the subtropical climate and endless beaches and cultural heritage seekers can visit Zulu cultural villages, museums and markets. The beaches are significant tourism assets for the municipality, attracting an Annual Beach Festival and hosting beach events at Alkanstrand, and providing seasonal holiday destination and on-going recreational amenity. The proposed developments of the waterfront, has a strong tourism focus. Environmental assets and socio-economic indicators have therefore been considered in the conceptual plans for the waterfront. The City of uMhlathuze, as a port city, will offer improved quality of life for all its citizens through sustainable development. It will be a renowned centre for: Trade, Tourism and Nature-lovers, Coastal Recreation, Commerce, Industry, Forestry, and Agriculture.